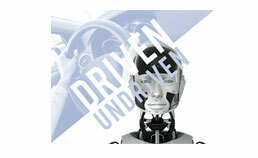 For the 2014 Michelin Challenge Design, participants were asked to explore developments in Vehicle Autonomy. If the vehicle will be operated autonomously (commuting, running errands, staying within the urban environment) more than half the time, how can it transform to cater to the users’ needs the rest of the time? Participants were tasked to develop a creative design that transforms the driven vehicle into an extension of the users lifestyle, while retaining the experience of driving pleasure.